The area of Poland where we live was originally settled by Jewish people - thus the name - Jozefow - which means the "house of Joseph" or "belonging to Joseph". Some of the detail on these older homes which makes them unique. 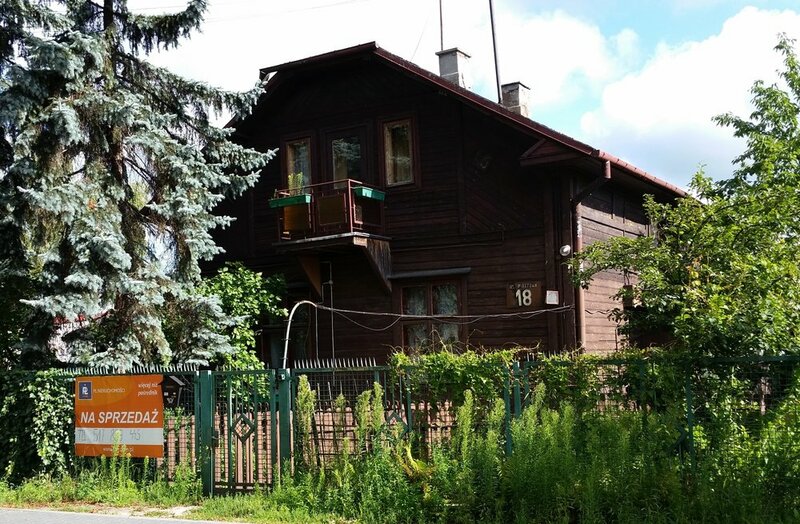 To make a long story short, we live outside the big city limits (Warsaw) where many Jews in Warsaw originally had summer - or sanitarium type of houses where they came in the summer to get out of the smog and pollution of the city and live in peace in a more natural environment. Many of these types of houses are large - multi family type houses.and built without proper insulation as they were pretty much only lived in the summer. This style of wooden houses that we call Swidermajer - named after the river Swider, which is a stone's throw from our house (ok, ok, slight exaggeration, but it's quite close) is still prevalent in our area. When my sis was here, she managed to snag a few pictures of some of the area wooden homes in this style. These were built a long time ago, and many had ornate decorations on them - they were just beautiful. Unfortunately, many of them are lost every year to fires and will not be replaced. It is rare to see anyone building this style of house these days. Most of the ones I've seen around here are now public housing, since they formerly belonged to Jews - which after the war, for obvious reasons, didn't return. A private Swidermajer. This is upkept quite well. There are some in private homes and they tend to look quite different. However, the Polish propensity for big fences around one's home means that it is hard to get a good picture of them! This is also a privately held Swidermajer, but is almost in ruins. The owner doesn't live nearby nor does she actually keep it up. (I knew someone who rented a room from this person.) This one actually needs to fall down as it isn't up to code in the electrical and is a firetrap. Another one in not that great of condition. I believe it is public housing. A privately owned house. The man is trying to sell half of this house for over $150,000! We think he's being pretty optimistic since there is almost no land associated with it and it is only part of a house that he is selling. 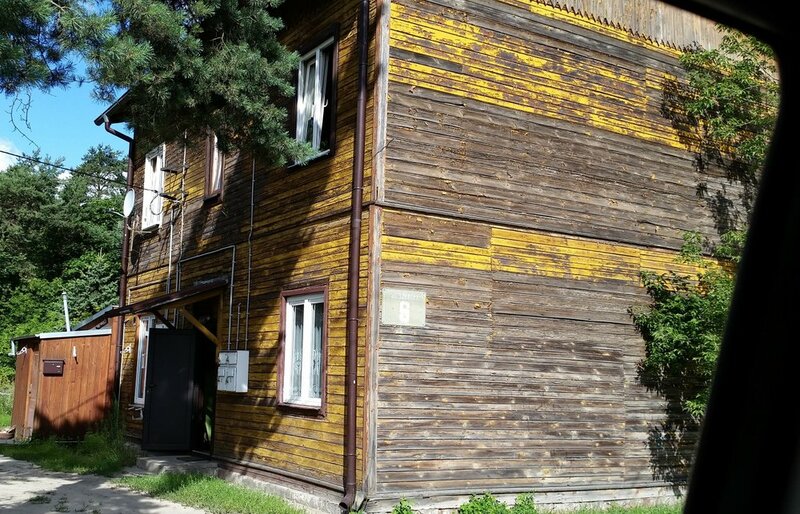 And now you have a tiny glimpse into some wooden houses around us. Most houses are made of cement block type of construction - so these wooden houses kind of stand out in the area. Make sure you check out the goodies my sis has for you!